Relais Casali della Cisterna - Belgirate. The title of this post is the name of the hotel we have just returned home from after a 6 night stay. My post titles would normally relate to the trip just completed - as in this case a visit to Lake Maggiore in the Italian Lakes to do a planned family reunion of us and my two brothers and their wives to see our Australian cousin from Brisbane who was once again visiting Europe, having first completed her own planned river cruise from Amsterdam on the Danube. However, we all found the hotel so stunning, and the family that run it so helpful and accommodating that I have named the title just as the name of our hotel, even though we visited other lakes and towns while in the area. This was our first view as we arrived in the late afternoon sunshine and headed to check in at reception. I just had to take a photo there and then, even though my image doesn't do the view justice. This holiday took place just a week after our return from a 4 week tour of Europe of our own in the motorhome, so we had just sufficient time to sort out the Rapido, wash and pack again before flying out from Manchester to Milan Bergamo airport using Ryanair, which we found to be perfectly acceptable bearing in mind their very reasonable fares. 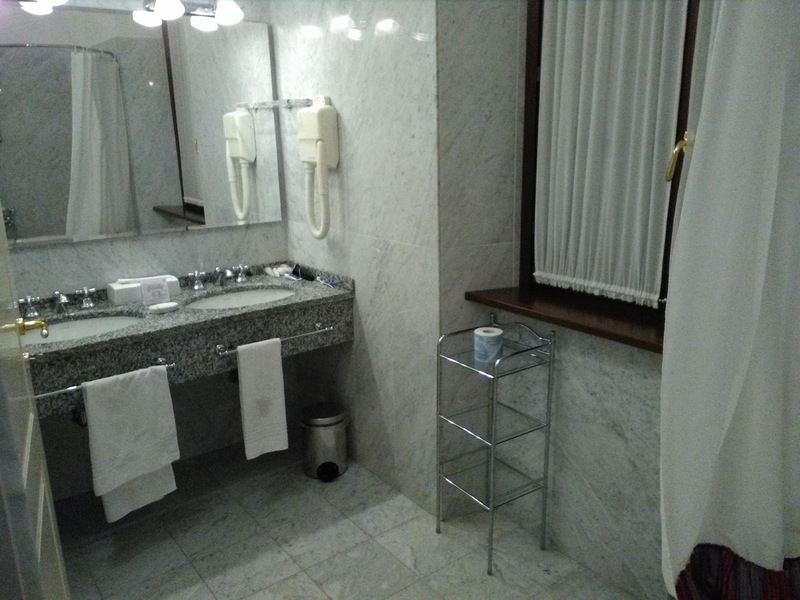 There is a good shuttle bus service from Bergamo Airport to Milan Central Railway Station, where a train journey of around 2 hours or so to Stresa could have been completed easily, with a short 5km taxi ride from Stresa railway station to complete our journey. However, we chose the easy option and contacted Simona who runs the hotel together with Alberto and their young family to ask them to arrange a private taxi transfer for us. This was done without issue and also proved to be a much better price than I could have arranged for myself. When our plane landed after a flight of less than two hours - sure enough our driver was waiting for us holding a card with our surname on it. 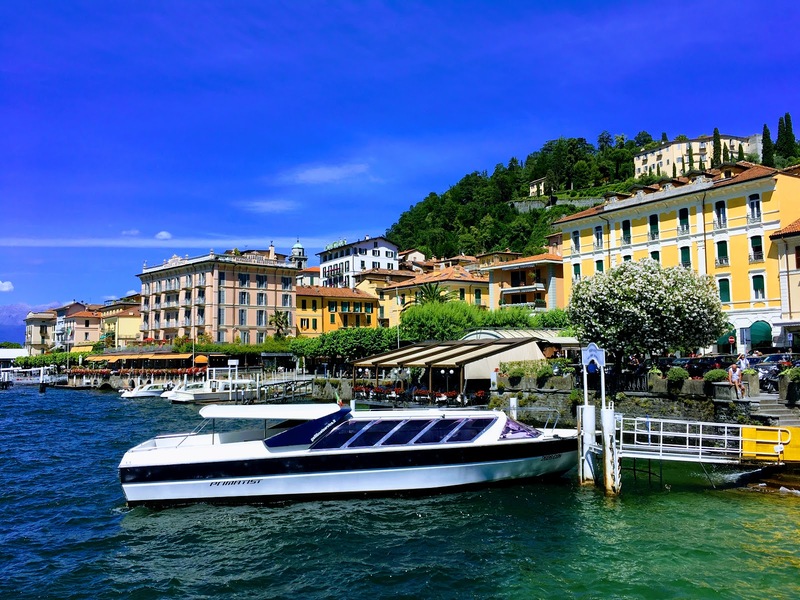 This delightful hotel is located here on the Western shores of Lake Maggiore, just south of Stresa in the picturesque village of Belgirate. The hotel is what we might call a "boutique" hotel, described by the owners as a "historic fashion" hotel. It, together with its grounds and location is stunning. 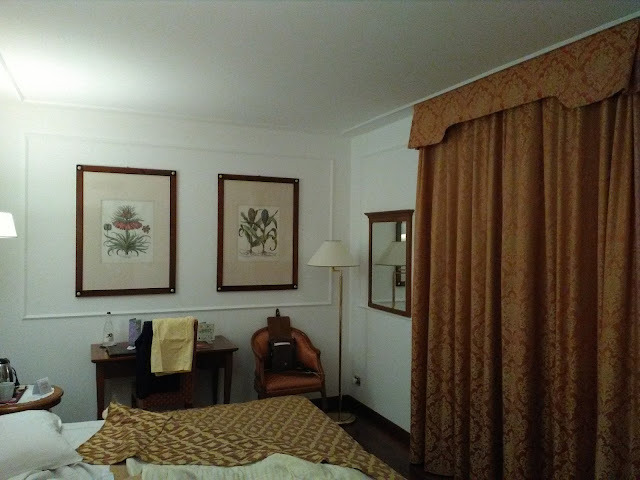 Everything is maintained in pristine condition while Simona and Alberto pride themselves in running all aspects of the hotel that involve personal contact with their guests themselves, giving us a really warm homely feel, as though we became part of their family for the duration of our stay. We found that nothing was too much trouble for them - just ask and they will try their best to accommodate. One highlight of our stay was breakfast on the terrace overlooking the lake every morning. Here is the link to the hotel's website should you want to follow in our footsteps. We can certainly highly recommend a stay. We would also recommend that you contact the very obliging business owners personally, they will accommodate your requests where possible. Once on the page I have linked to, scroll down from the beautiful image and read about how it all came about. Click on the "hotel" link for the history of the place, then book it - you won't be disappointed. While we stayed here we then arranged our own hire car from the only outlet in nearby Stresa - Avis. We bought a 3 day hire package at a very reasonable price and as usual opted out of their excess waiver insurance package as we find that providing our own annual cover via icarhireinsurance to be much cheaper. They provided us with a 2017 Fiat Punto which we used to its full extent to visit restaurants in the evenings as well as days out to Stresa, Orta, Como and Bellagio. We would recommend car hire to give yourself the maximum opportunities to explore this beautiful area. Car hire is obviously available at the airport, but we chose this option rather than drive on the motorways around Milan. During an evening meal out in Stresa - you have to try don't you? This has been a most fabulous holiday. 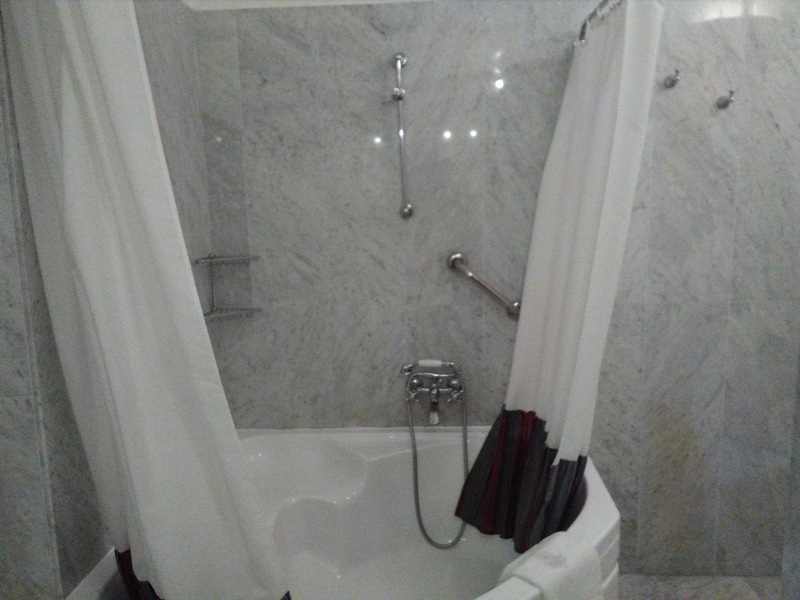 It was also very easy to arrange - not through a package holiday company, but arranged personally as we prefer. We can highly recommend a visit to this beautiful part of our world.